Romans Use Vertical Panel Saws! No, this is not the latest archaeological find, it is about the London based family firm, Roman Timber. Following the recession, it is now one of the few timber merchants left in East London supplying the local market. The Company stocks a wide variety of sheet and solid timber sections, supplying both the trade and retail markets. With the upheaval and reconstruction in East London as a result of the Olympics, owner David Goodhew knew that, on relocating, it made sense to seek to expand their business and to be able to offer a sheet cutting service. He came to Sagetech and took delivery of one of their Zapkut ZM16 units, capable of cutting 10’ x 5’ sheets, attracted by its compact European moving column design and very keen pricing. He recognised that products from the other mainstream vertical panel saw manufacturers weren't affordable for a company of his size, and that he would not have been able to recover the investment. 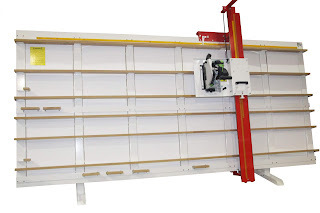 Any other solution would not have been practical in such a well stocked operation, where sheet cutting would take up a considerable amount of room on conventional table saws. David’s son Warren, who has now taken over the business, explained “With not many merchants now offering a cutting service, we gain 20% extra business through this service. After all, we can cut more easily and more accurately than any builder working out on site, or member of the public using their own tools”. Warren also finds that where customers opt not to collect the off-cuts, rather than skipping these he can trim them very profitably for subsequent sale. Warren highlighted a couple of regular customers, one who comes in and has MDF precisely to size for use in cabinet manufacture, with another requiring sheet material to make speaker boxes. As he said of another recent job “the profit we gained covered about 10% of the cost of the machine”. He particularly likes the fact that, unlike with other machines “this seems to work well, and with the extraction, you don’t come away all covered in dust”. 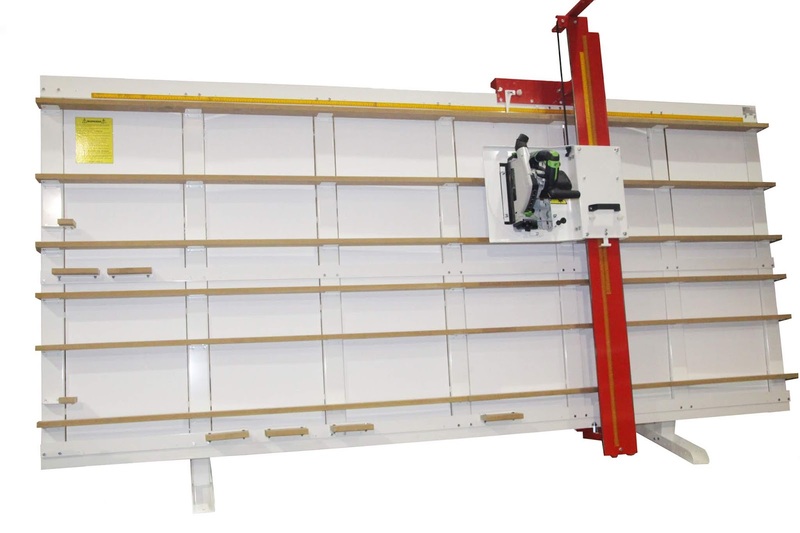 The Zapkut ZM range of machines are available in two sizes for cutting sheets of 8’ x 4’ 2500 x 1250 mm and 10’ x 5’ sheets 3100 x 1600 mm. It comes complete with Festool portable saw TS55, which incidentally carry a manufacturer’s 3 year warranty. The ZM machines are designed to cut up to about 40 sheets pw, and are ideally suited for sign-makers as they can cut a variety of materials. Roman Timber may be one of the smaller timber merchants, but that is not to say that it is not very progressive; they now promote their products on eBay with the added mention of their cutting service, and the back-up of local delivery. As Warren explained “The machine is particularly useful for cross-cutting the big sheets which others find so difficult to do”.